This Thai Throwback Thursday, takes us back to October, 1981. 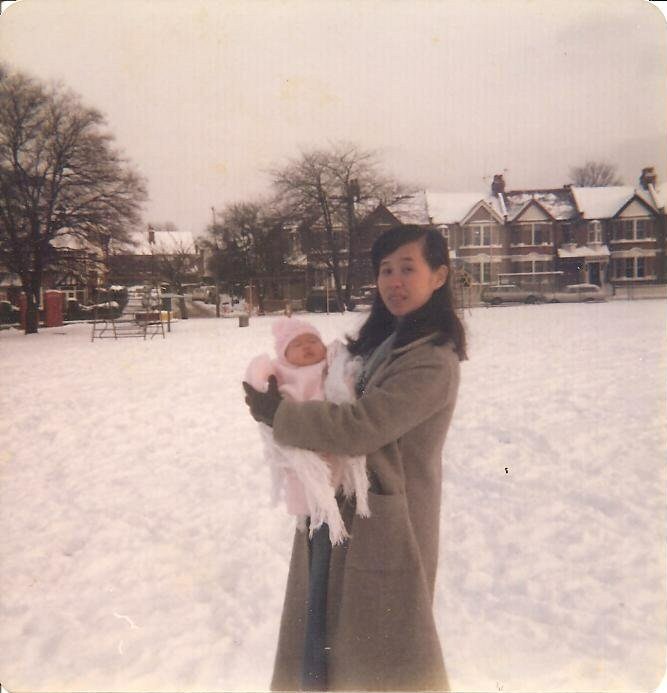 I seemed to bring the snow with me when I was born, as you can see from this picture of me and my mum. It was a particularly heavy dusting that year and my mum’s first introduction to snow! Not used to the cold weather and with the arrival of a little baby, it probably made her quite homesick. But she says I was a textbook baby and made her life really easy. She had only been in London for two years at this point. Planning only to study in England, she met my dad in 1980, in a friend’s ice-cream shop, they fell in love and were married just 3 months later! We are pictured in a park in Acton, West London. We lived in a flat opposite this park until I was three-years-old so it was really handy for my parents to take me for daily walks and to the play area once I was old enough. I know it sounds mushy, but I’m really lucky to have a Thai mum. I have grown up bilingual and have experienced the best of two, quite different cultures. It must be pretty funny to hear me speak Thai. I look a lot like my dad, so I guess it is a bit of a shock to most people. The funniest reaction was probably when I was in a remote part of Thailand for my uncle’s wedding. I went into a shop to ask where I could buy postage stamps and as I spoke the lady’s jaw fell. It actually dropped! In what felt like a scene in a movie, she stared at me for maybe a whole minute and then looked at her friend possibly for proof that she wasn’t hallucinating. I guess I have a good Thai accent. A very surreal moment. 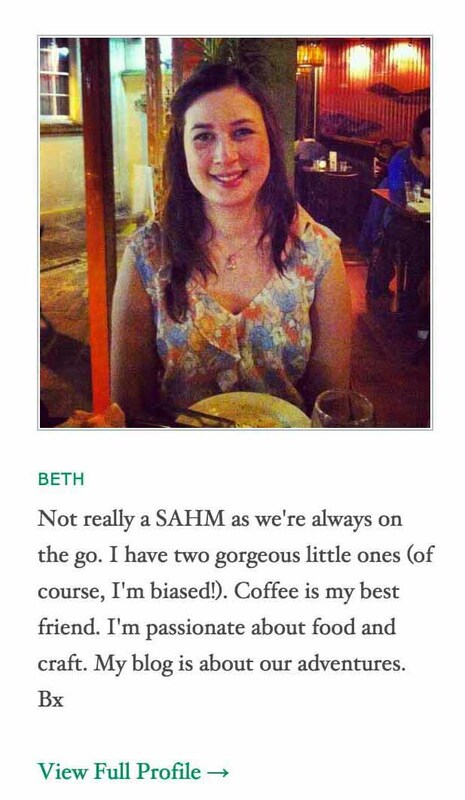 I hope you enjoyed today’s Thai Throwback Thursday and click the link for more. Yeah, looking at your picture on your blog header, you can easily pass off as a Spanish person 🙂 I’m sure when people meet you, it’s never a dull moment for them!